It's summer time and there is no reason I shouldn't be "partying up" on a Friday night! I don't need a babysitter, my kids are teenagers and my husband is here not doing anything. So what do you think I did? Did I hit the dance club? Perhaps we went bar hopping? Or maybe just a romantic dinner at a quaint resturaunt with some music and wine? Nope, none of the above! On the first Friday night of July I sat home in my pajamas, watching Bravo T.V., played with Erin Condren and read a great book. 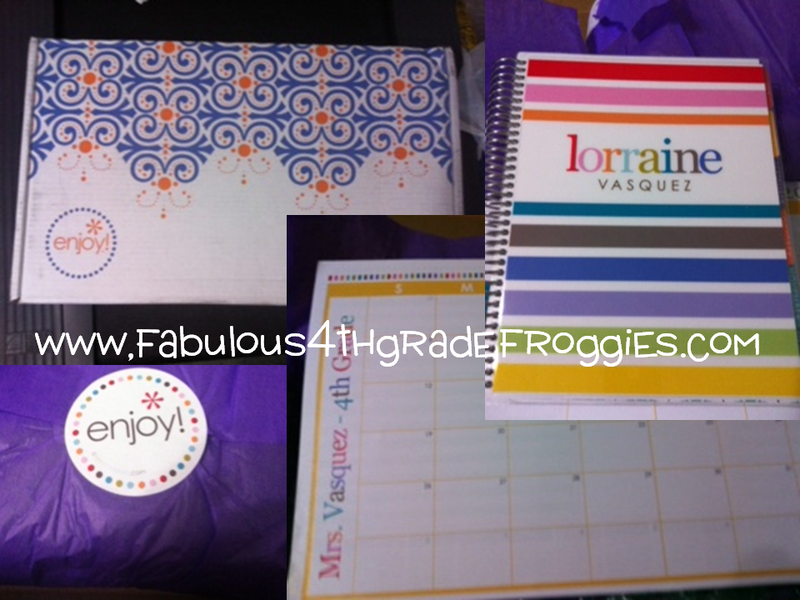 OK, maybe I don't even know the real Erin Condren but I do know her planners! I LOVE LOVE LOVE my Erin Condren life planner!!!! Earlier in the day I received a package and yes, it was my new and improved Erin Condren life planner ( I also received a desk pad I bought for my desk at work). As soon as I opened the box I knew I had plans for the evening.....to write in my new life planner! It wouldn't have matter if the President of the United States called me to go to dinner I would have had to politely decline and say I had a previous engagement with Erin. If you never have received a package from ErinCondren.com you are missing out. In the picture below you can the adorable box your product comes in. The picture below the box is what it looks like when you open the lid to the box, again adorable! That is my new 2012-2013 life planner and my new deskpad in the pic as well. I also purchased the lesson plan book from ErinCondren.com put I bought it about a month ago. Some friends ask to see pictures of what it looked like inside. So below you can see my lesson plan book and some pages from the inside.... only some pages I didn't take a pic of everything. By the way, did you notice my life planner matches my lesson plan book? FAN- TAB-U-LUS! I have to be honest, I didn't write in my planner allllll night! 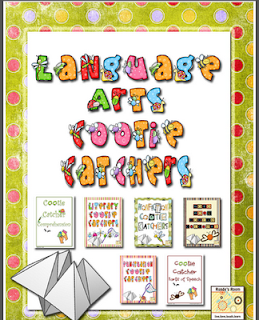 In between writing in my new planner and reading a fabulous book (which I will share in a minute) I did some blog stalking and downloaded some AWESOME Language Arts Cootie Catchers! What the heck are cootie catchers you ask? Well check them out here at Runde's Room store. My students are going to love practicing their Language Arts skills with these cootie catchers! 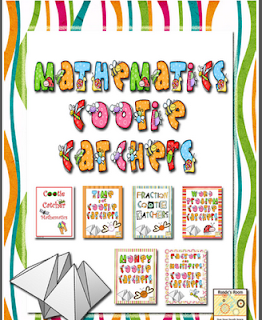 You can get the bundled pack or individual skill ones.... in Math too! I still need to get the math bundled pack but I do have the multiplication one. Runde's Room is one of my favorite blogs. 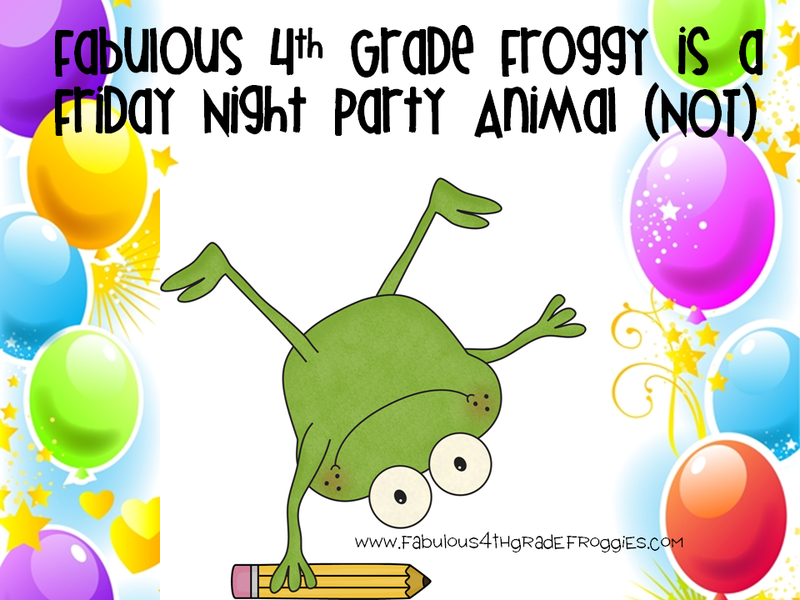 You need to go visit and tell her that Lorraine at Fabulous 4th Grade Froggies sent ya. I love this pic I found on the internet! 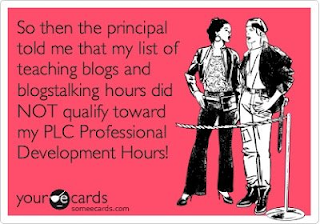 Can you imagine if we did get professional development hours for blog stalking? I know I have found some incredible ideas while blog stalking, how about you? I ended my night reading a fantastic book. I read the entire thing (although its not a big book) before falling asleep. I consider myself a positive person but sometimes life does get ya down sometimes just reading about positiveness reminds me what a wonderful life I really have. Anywho, the book I read was by Mr. Positivity himself, Jon Gordon. It's called the Positive Dog. I really recommend reading this book, especially before you go back to teaching. Click on the link below to read more about it. It's a good reminder to start the year on a positive foot! 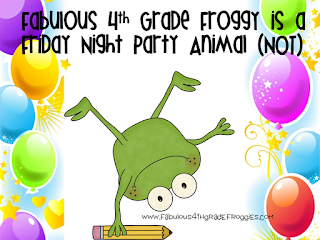 So there you have it..... while I enjoy an occasional party I also love NOT being a party animal, sitting home in my jammies filling out my planner, downloading goodies for my students, blogstalking, and reading. Don't forget to get yourself a new lunch bag or a fabulous new tote and my my Thirty-One Gifts online party. Click here to see all the FABULOUS prizes we're giving away and to learn more about my online party. I have never seen that planner before. I think I am going to have to check it out! Hahaha Stephanie. I love Friday nights like that!!! You are going to fall in love with the planner!!!!!! It's the perfect back to school treat! 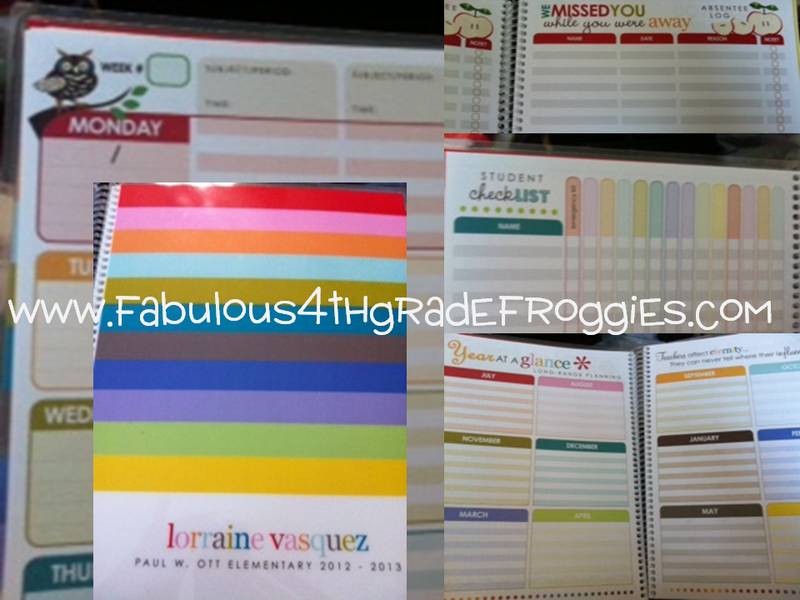 I ordered myself the teacher planner ... and am anxiously awaiting its arrival this week!!! CAN'T WAIT! No thank you Jennifer! 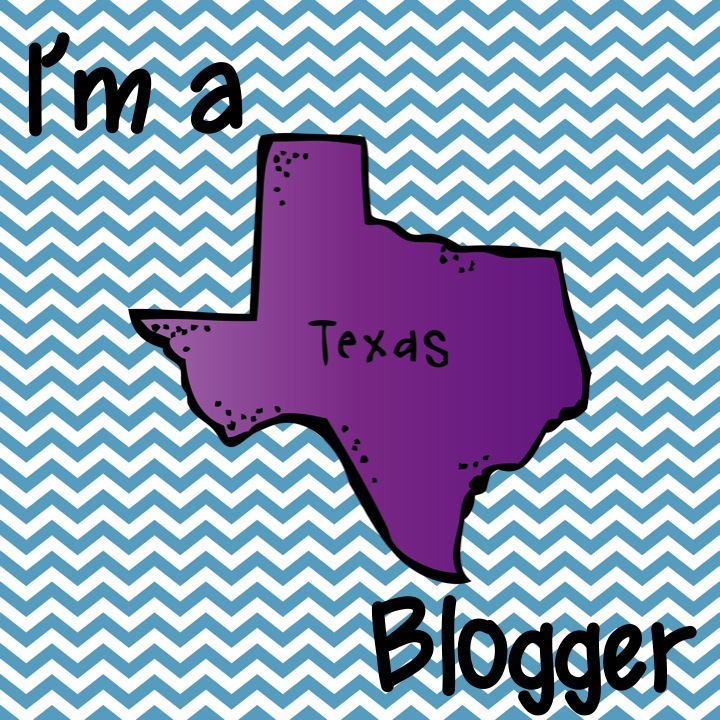 Your products are awesome and so is your blog! It's hard to wait for the planner but it's worth the wait! That sure would be great! Love the Cootie Catcher!!!! Definitely going on my to be purchased list. Thanks for posting about them. Wait til you get them Megan, you will LOVE them! just ordered my teacher planner from Erincondrin. Cant wait to get it! it will simply make planning fun! LOL! Cant wait! Oh gosh Jody, you're the best! Thanks for always making me smile and feel good! I just got my Erin Condren life planner on Thursday & I am already so in love! I'm also ordering my teacher planner on Friday. I cannot wait to get it. I love the designs of yours! Very cute!! You'll love the lesson plan book Allison!!!! sounds like a great evening! glad you love your planner!